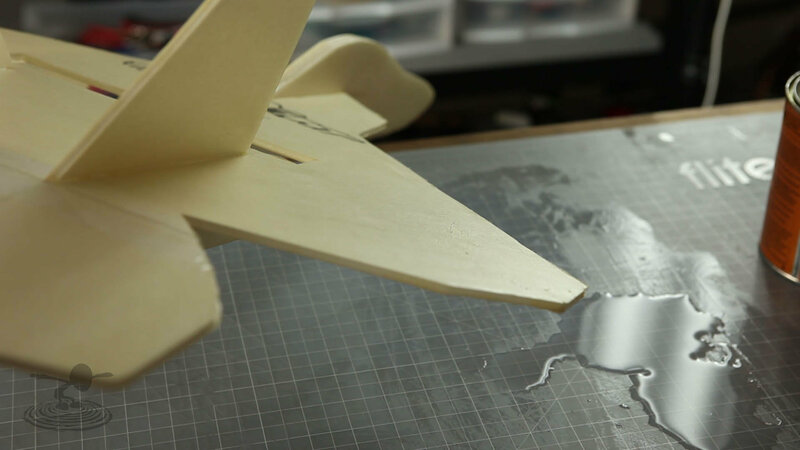 Protect your scratch built foam airplane from moisture! 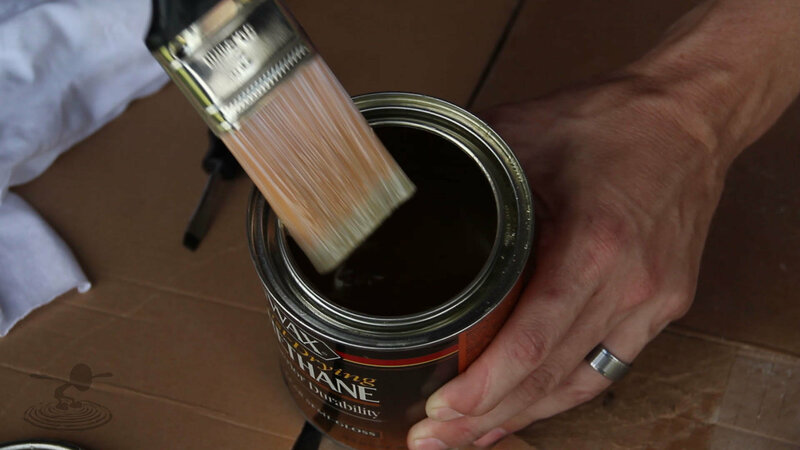 David and Josh share a quick tip using Minwax Polyurethane. Do not want to use the water-based version, this Clear SEMI-GLOSS Fast-Drying Polyurethane works best. Using a brush, you can brush on the Minwax. 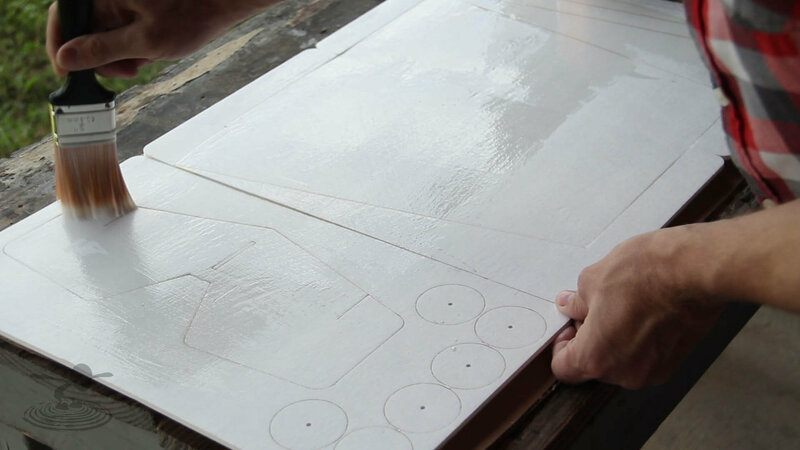 You can apply the Minwax to your foam board before cutting out your design, or brush it onto your assembled foam board scratch build. Allow the Minwax to absorb into the paper for a short time and then with a dry cloth, wipe off the access and allow the board to dry. Your plane will now be water resistant! And your foam board will be much less susceptible to humidity. 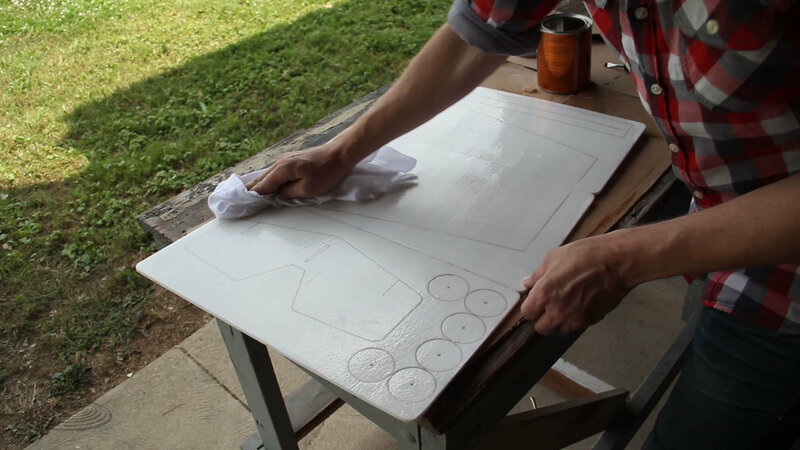 With your foam board surface coated with the Minwax the liquid will run off surface. 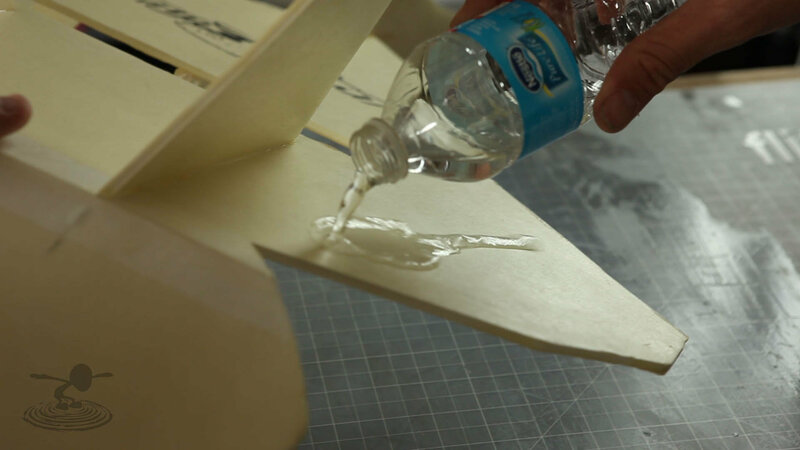 Hot glue doesn't stick to the Minwax very well so you will want to peel back the coated paper surface if you need to glue repairs or assemble your airplane. 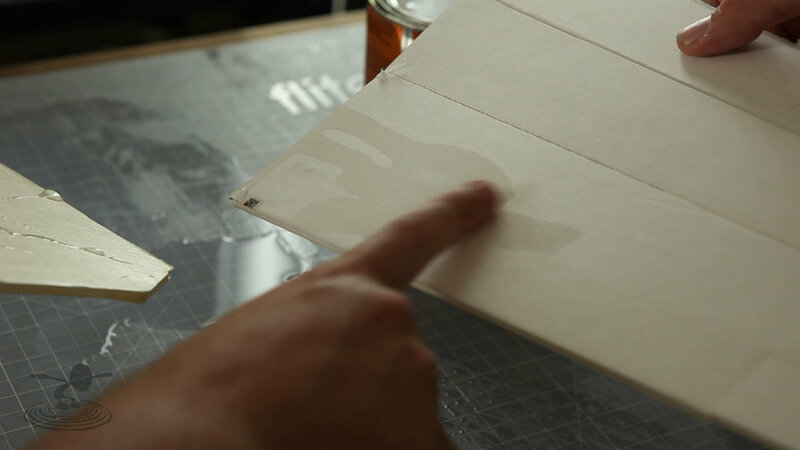 When water gets on your untreated foam board it soaks in and can warp and wrinkle the paper surface. All of the foam board and speed build planes that you see on Flite Test are treated with Minwax and it's worked out great and our planes hold up even better. We'd love to hear your tips! 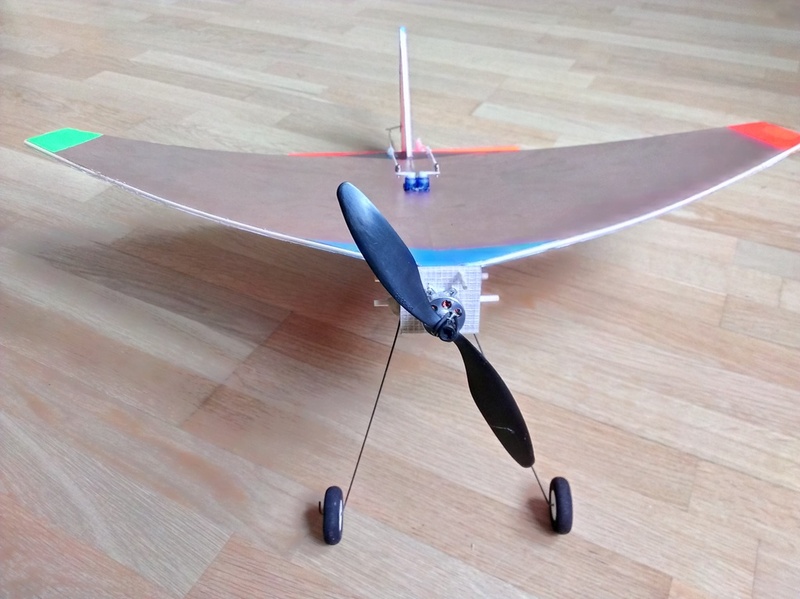 Leave a comment or post an article and share some of your scratch build tips! Actually after 24 hours to dry at over 90 degrees I have no issues with hot glue forming a bond on a polyurethaned surface. I do sand it lightly first then wipe with an alcohol swab. Anyone tried cellulose spray? Artists use it for securing charcoal drawings, I think. Another thought: Wouldn't paint serve to seal the paper from absorbing water? It caused a nice dihedral, it flies like a dream. Anybody try the aerosol spray Minwax? Less weight, less soaking in, less mess, but the finish isn't as slick and durable as the glop it and wipe it approach. Does anybody know what I can use in germay instead of minwax polyurethane? Here in germany there is no minwax and I don't know for what kind of primer / color / paint I should look. First thing I thought was "Klarlack" that is clear coat that you would spray over a finished paint job on cars to seal the paint. But I think that is not the same. For what do you american guys use minwax in the house or garden? Maybe that would help me to find the right product here in germany. Minwax is used to seal/finish wood projects. In your case, I would look for oii versus water based sealer. Treated 4 sheets of Dollar Tree last night, with can of Minwax and brush rather than spraying it on. The stuff went on pretty heavy, consistently soaking the paper towels I was using to wipe it off. Half pint can covered 7 of the 8 sides of the boards before I ran out and had to open a new can. I think I'm going to try something different next time, using a metal or hard plastic straight edge to "squeegee" the minwax along the board and try to get a good coat without so much waste and soaking so much into the board. I'll be curious to see how those boards came out, they're drying since last night in the garage. Slated to be a lit Bloody Wonder and a lit Versa wing if all goes well. I have Minwaxed all my FT planes I have built so far with great success. I'm a waterjet programmer and I'm going to minwax a few sheets and they some text cuts. If all goes well, I will program a FT plane and waterjet cut my planes rather then cutting them by hand! Have you done it with brush or spray or what method of application? The spray was decent but still felt very much like paper, using the brush to blorp it on (and sometimes pour from the can and immediately spread) was pretty wasteful and will lead to added weight. I can afford a little weight since I'm using Foam Tac instead of hot glue. Aside from headaches cleaning brushes for that matter, I've got very little around for that. And in other news how goes the scaling tweaks to your Bloody Gremlin plans? I want to build one for a friend of mine who has flown original full scale gremlins for years, but the scaling wasn't coming out right. Have you done it with brush or spray or what method of application? And in other news how goes the scaling tweaks to your Bloody Gremlin plans? I will get it worked out this afternoon.. I've been traveling for work and have been busy but i'm back home now. I'll message you in a bit bud. .. Thanks for following up with that. Wow, I put it on with a foam brush and don't go through it nearly that quick. I've done about 6 sheets both sides so far and not even used half the can of minwax. I use foam bush method, let it soak in good for about 10 minutes then wipe it down and let dry. Works very well! Anyone know if the same Minwax polycrylic stuff can be used on lightweight fiberglass in place of resin? I've read on other forums that people do use it, however they use the water-based stuff. Can the oil based polycrylic still be used? I'd hate to have to buy another can of WBPU. 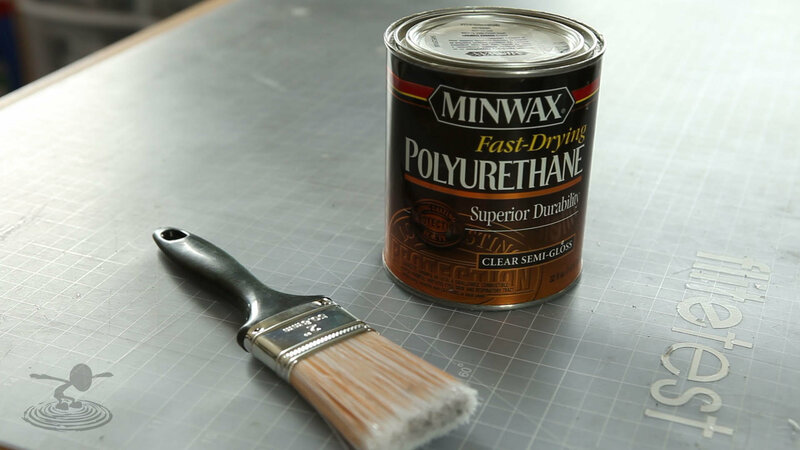 I couldnt find the regular minwax at my home depot, will the rustolium polyurethane work? I imagine the key is to be sure it isn't water based. Yup the stuff I got was water based lowes in my town only had the water based stuff. Home Depot had the good stuff though! Does this work on black adams foam board? Don't think the yellowing would be a factor but would it work at all with the paper? I don't see why it woudn't work for waterproofing. you'd probably need a very opaque paint with a black base, but you should even be able to paint it . . . Black velvet Elvis flyer, anyone?